The Indian Army was a separate organisation to the British Army, its main task being to police the Indian Empire. It came into being in 1895 when the three armies of the Presidencies of Bombay, Madras and Bengal, unified into a single army. Besides maintaining the internal security of the British Raj, the Indian Army fought in many other theatres – Burma, Afghanistan, and in China in the Opium Wars and the Boxer Rebellion. 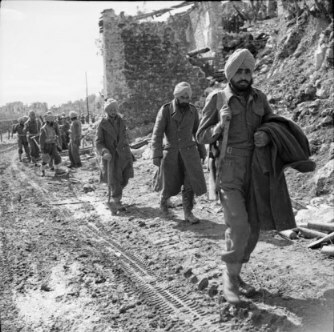 Indian soldiers were all volunteers, a situation that persisted up to and throughout the Second World War. By the end of that war, the Indian Army had grown to a force of about 2,500,000 men, making it the largest volunteer army ever raised. Indian troops in World War Two pass bomb shattered buildings on the outskirts of Cassino town, Italy. 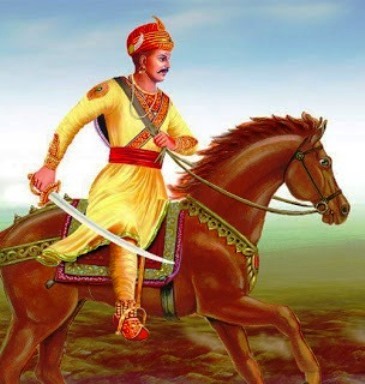 The Army’s soldiers were drawn from various races and religions, and as a result of the Indian Mutiny, regiments did not consist of only one race or one religion. 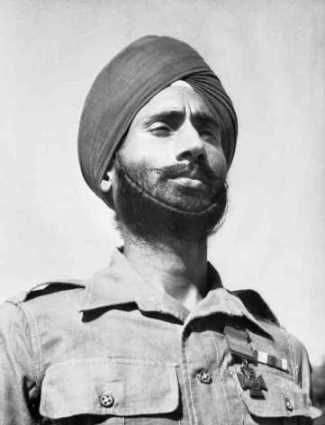 A Punjabi Mussalman (a Muslim) might serve in a Sikh Regiment and a Sikh in one of the Punjab regiments. There was an unstated preference on the part of the British for soldiers from races they considered most warlike. The Rajputs, descendants of the famous warrior tribes of Rajputana, were among these, a fact that Anish Rana in The Girl from Cobb Street is proud to relate. 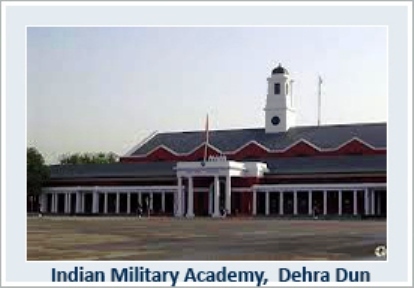 At the beginning of the twentieth century, the officers of the Indian Army were entirely British and undertook the same training at the Royal Military College, Sandhurst, as those in the British Army. But in 1918 ten places were reserved for Indian men to attend Sandhurst, and on commissioning become King’s Commissioned Officers with the same status as their British colleagues. Indianisation, though, was likely to be a very slow process since British officers were only replaced by Indians when they retired. An all-Indian officer corps would not have come about until 1967, except for the advent of the Second World War and Indian Independence. The move towards Indianisation was not universally welcomed. Older British officers did not want their sons serving under ‘natives’, and there was concern there would be insufficient Indian officers of ‘the right kind’. Most Englishmen of the time believed that Indians were not good enough to lead Indian troops, let alone English ones. The British public school system, on the other hand, produced this right kind of officer. Wellington School was popular, Haileybury College too. Haileybury actually occupied the grounds of the former East India College and most of its students had strong connections to India via their families. Public schools fostered independence in a boy who had left home at a young age and and had learned to look after himself. His schooling taught him that it was praiseworthy to endure hardship without complaint, as was owning up to a fault and taking his punishment without bearing a grudge. Before the boy even arrived at Sandhurst, he would have learned within the school’s prefect system to exercise authority and to put the comfort and safety of those he commanded before his own. An Indian boy, on the other hand, had none of these advantages. And there were still grievances. The Indian men commissioned at Sandhurst held the King’s Commission in His Majesty’s Land Forces, as did all British officers, but those commissioned at Dehra Dun, only in His Majesty’s Land Forces in India. And British officers serving in the Indian Army were granted an additional allowance as they were deemed to be serving away from home, while Indian officers were not. It was logical enough, but feelings were not always logical and if two young men came into the Indian Army at the same time, they might well begrudge their different rates of pay. Resentments such as these are articulated by Lieutenant Rana in The Girl from Cobb Street. Getting into the Indian Army was highly competitive – for everyone. The British officer who volunteered had generally graduated towards the top of his class at Sandhurst. He would spend his first year with a British regiment serving in India on the Unattached List. This introduced him to the country and gave him the chance of learning Urdu, the Army’s lingua franca. Later he would learn the particular language spoken by his men. During the year, he spent a short time with the Indian regiment he wished to join, which gave the existing officers an opportunity to assess his suitability. It was vital for a new member to fit in quickly, given that the regiment’s British officers formed their own small community. If he did not get on with other officers or did not conform, he would be encouraged to transfer to another corps. Becoming a cavalry subaltern in the Indian Army was an expensive business, as the fictional Gerald Mortimer discovers. Young officers were required to buy their uniforms, a sword and a revolver. In due course, they would buy their own saddlery and horses. The temptation to spend was great and a generous splashing of money could help make up for newness and ignorance. In Gerald’s case, it was an attempt to conceal his humble origins. Credit was easy to obtain since Indian tradesmen were in fierce competition. They would not worry an officer until the bill was at least six months old and even then, not too pressingly. But the moment one creditor began to press, so did all the others. The honouring of bills was regarded as all important within the regiment. No officer was allowed to let the 7th of the month pass without paying his Mess bills. Most of these young men, though, lived beyond their means. Even in the 1930s, the Army seemed still to have the idea that officers had private incomes. Of course, a young man might pretend and live as though he had, but this would mean borrowing money from the regimental banya at a very high rate of interest. If an officer’s debts reached the colonel’s ears, the man would be summoned and reprimanded. The colonel would demand a list of debts and would calculate how much the officer could afford to pay each month, and then would personally see that the sum was paid. But if the young man had not confessed to every debt or had forgotten some and they later came to light, he would be thought to have lied, and be considered dishonourable and perhaps face discharge. The biggest crime was letting the regiment down and the final arbiter was always the colonel. 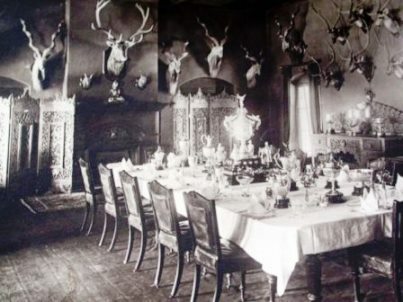 The Officers Mess, Garhwal Rifles, Landsdowne, 1894. An Indian Army regiment living in a cantonment kept very much to itself. Visitors were not encouraged and if a stranger appeared in barracks, a report was sent at once to the adjutant. The regiment was a close knit ‘family’. The relationship between British officer and Indian soldier was very close and much more personal than in the British army. The officer knew where each of his men came from, who his family were, and had perhaps visited his village and met his parents. The officer would be the person to go to in time of trouble. This network of personal loyalties and bonds, which went beyond formal regulation and duty, were essential in building a strong regimental esprit de corps. Toast with sardine or half a hard boiled egg. As soon as the last course was served, the Mess sergeant would place three decanters in front of the senior officer. Port, madeira and marsala were circulated liberally. When the senior officer lit his cigar or cigarette, everyone was free to smoke, but no one left the table until he did. A typical Clubhouse, such as Daisy visited with such trepidation in The Girl from Cobb Street. 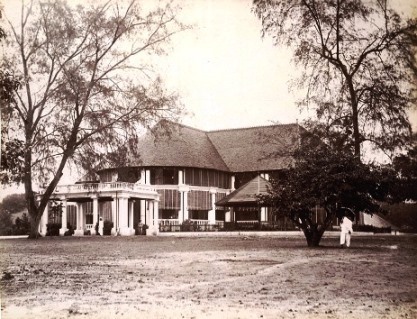 It was a place for the military and civil elite to mix socially. Routine characterised the officer’s working life too, whenever he was not on active service: an early morning parade, breakfast, then a morning spent dealing with charges against individual soldiers or resolving grievances, followed by lunch and a long siesta. After that there were games at the Club. 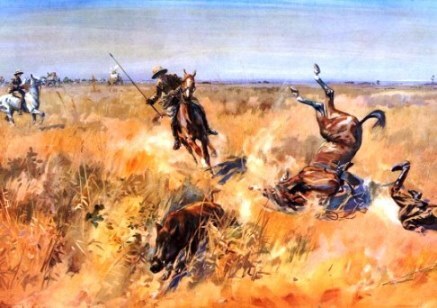 Sporting activities featured highly: primarily team sports like polo, hockey and cricket, but also big-game hunting and pig-sticking. Polo was a particular favourite of the cavalry and since officers had a right to ten days’ absence every month, there was plenty of opportunity for relaxation. Thursdays and Sundays were whole day holidays, Saturday a half day. And apart from an annual holiday of sixty days, every three years the officer enjoyed a home leave of eight months. It sounds a very pleasurable pace of life, but it operated only when the regiment was not on active service. Between 1849 and 1947, the North-West Frontier posed a constant threat to the security of British India, and large numbers of British and Indian troops were tied down there in a long series of inconclusive skirmishes and major campaigns. 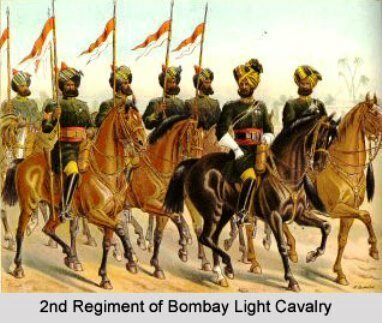 It was the most prevalent form of fighting carried out by British and Indian troops. Many officers who went on to distinguish themselves in the First and Second World Wars learnt their soldiering on the North-West Frontier, which they called the Grim. In addition, the Indian Army was to the forefront during both world wars. Well over a million Indian soldiers fought for the Allies in World War One, with nearly 75,000 of them killed or missing in action. In The Girl from Cobb Street, Anish Rana’s father, Karan, died on the battlefield of the Somme in July 1916. 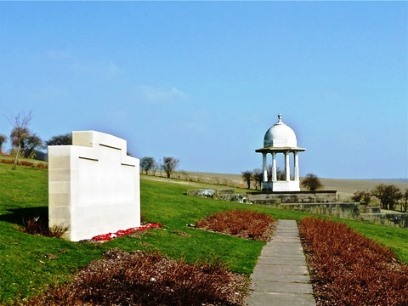 The Chattri on the Downs just outside Brighton was completed in 1921 as a memorial to the fifty-three Indian soldiers who died while hospitalised in Brighton, 1914-15. It was intended that the memorial would record all their names, but with records dispersed after the Great War, that has only recently been possible. To the left of the picture is the memorial unveiled in September 2010 which displays every name. World War Two saw two and half million Indians fighting for Britain, with the loss of over 87,000 men. 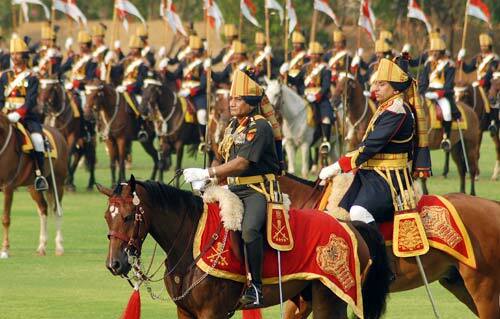 The Indian Army served with distinction in Europe, North and East Africa, the Middle East and South East Asia. Indian soldiers earned thirty Victoria Crosses for their outstanding bravery. On August 15, 1947, The Indian Independence Act formally divided India into two independent nations: India and Pakistan. For 230 years the Indian Army had remained loyal to its officers, its colours and its traditions, but it could not survive growing nationalism, the disruption of a European war, and eventually the independence and partition of India.